En 1999, déjà, je publiais un ouvrage qui s’appelait « Sur les traces de l’ours polaire ». J’étais loin d’imaginer que 10 ans plus tard, l’ours polaire serait à la une de l’actualité pour cause de dégradation de son environnement. Je vous propose ce nouvel ouvrage avec des images renouvelées associées aux dernières informations sur la biologie de l’ours, l’évolution des populations, et un point sur les effets actuels et envisagés des modifications climatiques dans l’Arctique. Ce livre est dédié à l’actualité de cette espèce symbolique. 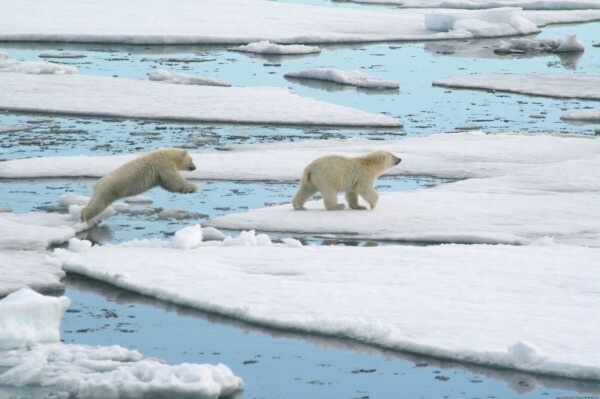 The polar bear, king of the Arctic, is one of the world’s most recognizable animals. Images of the majestic beasts roaming across the ice cap, plunging into frigid waters, and playing with furry cubs have come to symbolize the beauty and grandeur of the Arctic. Andrew E. Derocher and Wayne Lynch have spent decades following the bears, and this book offers the most comprehensive and readable review of their biology, ecology, behavior, and conservation.With gripping photographs by Lynch, a preeminent wildlife photographer, and the personal stories of Derocher, this book is as stunning to look at as it is fascinating to read. It weaves together their remarkable experiences with the latest research to tell the amazing story of these Arctic predators, tracing the animals back to their evolutionary roots and looking ahead to the future of polar bears on a warming planet Earth.Through informative and engaging language, Derocher carefully explains the sea ice ecosystem that is essential to the survival of polar bears. He addresses the threat of global warming to the Arctic—home to polar bears for tens of thousands of years—and describes in impressive detail their feeding habits, distribution, den ecology, and reproduction. Lynch’s vivid photographs capture all this and more as they chronicle the wide range of polar bear behavior, from family rituals to ferocious predatory practices. Captivating, accurate, and inspiring, Polar Bears belongs in the hands of all who love the wild. Dr Ian Stirling, the best known polar bear scientist in the world, compresses the major new discoveries of the last 40 years of research on this iconic mammal into a new easily readable and scientifically comprehensive book about the ecology and natural history of polar bears. 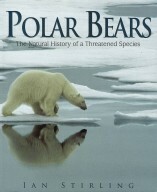 He explains how polar bears evolved, how they were researched, aspects of their behaviour and how the threat of global warming is jeopardizing the survival of this magnificent hunter.